The Agile Information Factory is an IT group that specializes in next-generation Data Warehouses based on Data Vault 2.0. The Agile Information Factory developed the Foundation Accelerator v4, a Data Warehouse automation tool and SAAS solution generating Data Vault 2.0. 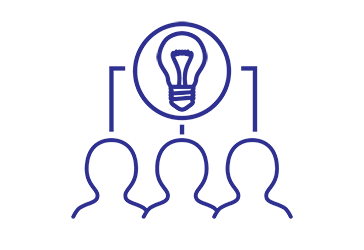 The Agile Information Factory delivers end to end solutions providing advice on architecture and implementation of technology. Their delivered projects are based on 1 of these 3 technologies: Oracle, Microsoft, and Open Source. The Agile Information Factory supports organizations in the day to day management of these platforms. Based on the wishes of the client, they support teams in becoming self-sustaining through training and expert consulting combined with the use of their Foundation Accelerator. Altova® accelerates application development and data management projects with software and solutions that enhance productivity and maximize results. As an innovative, customer-focused company and the creator of XMLSpy and other leading XML, data management, UML, and Web services tools, Altova is the choice of over 2 million clients worldwide, including virtually every Fortune 500 company. 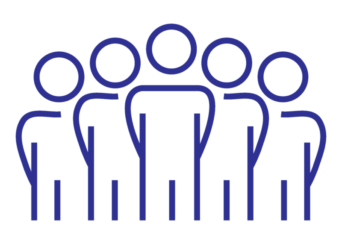 Enabling customers ranging from vast development teams in the world’s largest organizations to progressive one-person shops, Altova’s line of software tools fulfills a broad spectrum of business needs. Altova is an active member of the World Wide Web Consortium (W3C) and Object Management Group (OMG) and is committed to delivering standards-based platform-independent solutions that are powerful, affordable, and easy to use. Data is everywhere. And every day, industry and government are challenged to ride this data tidal wave. They have to manage both the massive risks and opportunities that come with high-volume, high-velocity and high-variety information assets that power their processes, technologies and ultimately their people. At erwin, data is our business. It’s all we do. It’s all we’ve ever done. Given this expertise and our customers’ needs, we’re focused on data governance as the guiding principle and underlying technology to mitigate risk and realize peak business performance. 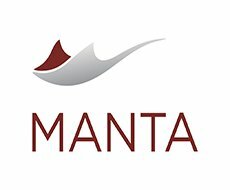 MANTA’s key to success is its ability to understand custom programming code and describe the transformation logic behind it. MANTA collects all the metadata in your BI environment and creates a detailed visualization. It can even read environments that are packed with messy custom code and use multiple technologies. MANTA can be used by companies with large BI environments for data warehouse optimization, lowering costs, creating impact analyses, and documenting data to achieve complete regulatory compliance (including the new and feared GDPR!). This tool, being fully automated, can also save you hours of time by eliminating manual labor and increasing efficiency. Snowflake Computing, the cloud data warehousing company, has reinvented the data warehouse for the cloud and today’s data. The Snowflake Elastic Data Warehouse is built from the cloud up with a new architecture that delivers the power of data warehousing, the flexibility of Big Data platforms and the elasticity of the cloud – at a fraction of the cost of traditional solutions. Snowflake is headquartered in Silicon Valley. Talend (NASDAQ: TLND) is a next-generation leader in cloud and big data integration software that helps companies turn data into a strategic asset that delivers real-time, organization-wide insight into customers, partners, and operations. Through its open, native, and unified integration platform, Talend delivers the data agility required for companies to meet the constantly evolving demands of modern business. With Talend, companies can easily scale their data infrastructure and rapidly adopt the latest technology innovations in cloud and big data. Talend’s solutions support over 1500 global enterprise customers including Air France, GE, and Lenovo, across a range of industries. 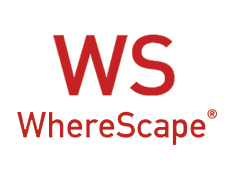 WhereScape data automation software accelerates the design, build and documentation of complex data ecosystems. We orchestrate disparate data sources across any platform to produce accurate reporting in hours, not weeks. With data increasing in volume and complexity, agile data management is now a must for digital business. Data automation is essential for seamless i­­­ntegration with cloud and big data environments, reducing the dependence on manual handoffs and human error for fast and accurate BI. Using a drag and drop GUI that democratises access to data warehouse development, WhereScape automatically writes faultless, native code.